Fermentation is an art as science and Faith Anacker (aka “Dr. Fizz”), has it all figured out — utilizing the harvests of Wisconsin’s driftless region. In addition to running a craft fermentation business Faith is frequently out and about educating people about the techniques and benefits of fermentation. 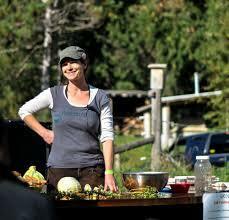 She often reminds that fermented foods are found in all cultures globally and represent ancient wisdom. Fermented foods go beyond sauerkraut which most people are familiar with. 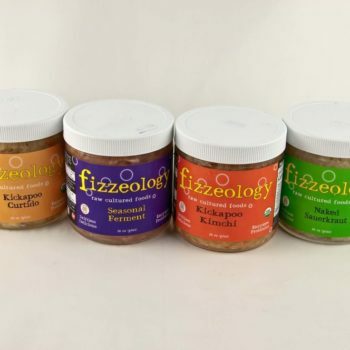 Fizzeology utilizes a wide variety of raw, organically-grown vegetables, and some that are wild-harvested like burdock root. Put on salads, sandwiches, and on cheese and sausage plates. Put on tacos, salads, burritos, beans and rice.